In the first book of the new futuristic dystopian series from author Lisa T. Bergren, the chosen remnants must work to redirect humanity’s course. The year is 2095. Gifted teens known as Remnants have been chosen and trained to act as humanity’s last hope to rectify the horrors that are now part of everyday life. The Community has trained these teens as warriors and assigned them Knights of the Last Order as protectors. Together, they are a force that will be difficult to bring down. But the Sons of Sheol, of course, are determined to do just that. As the Remnants begin their mission to course-correct humanity by saving and protecting key individuals, their enemies move to stop them, placing the entire world in peril. 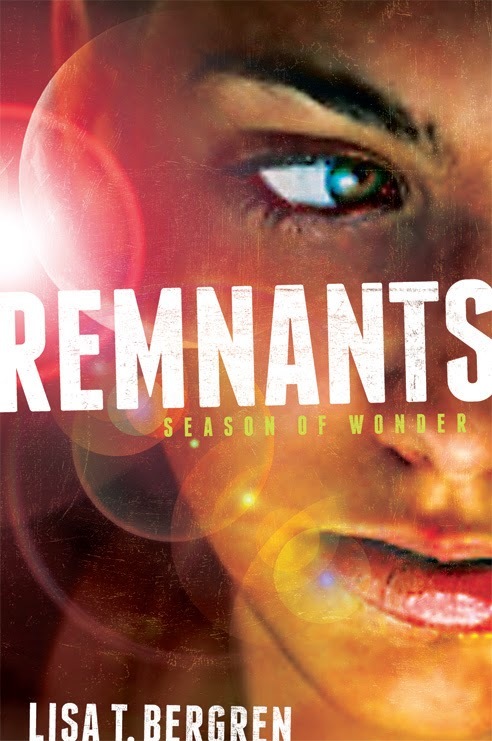 Bestselling author Lisa T. Bergren presents the first book in her new YA futuristic dystopian series—The Remnants Novels—fitting in with the current dystopian trend in the marketplace. I'm a huge Lisa T. Bergren fan. I loved her River of Time series, and when I found out she was writing a new dystopian series, I was thrilled. Luckily, I won a galley of this book in a contest and proceeded to fangirl and instantly read it as soon as it arrived in the mail. I was slightly nervous when I started reading Season of Wonder, because honestly? I've gotten pretty tired of all the dystopian books lately, although I do stumble upon one now and then that blows me away. And this book was definitely one of those rare, well-written dystopians. It has a fantasy-ish feel to it that helps set it apart - think medieval customs and knights - and this unique blend of fantasy and dystopia sucked me in. Props to the author for creating such an original setting and backstory! There's a wide cast of characters. The only problem I had with this book is the fact that all the characters were a little confusing at first. However, it didn't take long for me to get used to everyone and start remembering their names, and I grew to love all the supporting characters. And I loved the main character, Andriana. She's strong-willed and has really great character growth. The romance between her and Ronan is so sweet and swoony. I appreciated that it wasn't cliched, but instead very realistic. They start out as friends, and gradually start liking each other as something more. Ronan is very chivalrous and heroic; I loved his character. And for anyone who's worried about the romance becoming the main focus of the story - no need to fear. The action and tension remains at the forefront of the story. I was blown away by the creativity and addictiveness of Season of Wonder. This book is perfect for anyone who enjoys dystopian and/or fantasy and is looking for something different to read. I can't wait to read the sequel. Lisa T. Bergren has done it again!